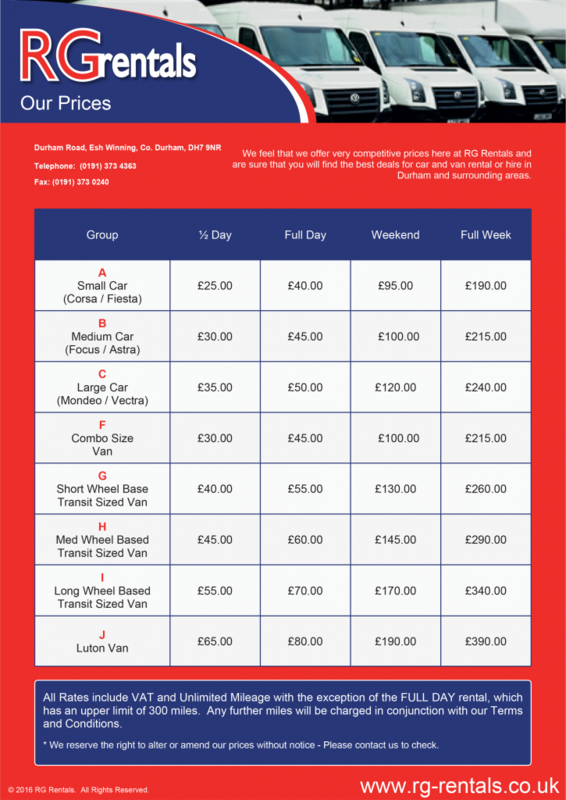 W e feel that we offer very competitive prices here at RG Rentals and are sure that you will find the best deals for car and van rental or hire in Durham and surrounding areas. We continually monitor our competitors prices and strive to offer you the best deal with the best customer service in the area. All rates quoted below are inclusive of VAT and unlimited mileage WITH THE EXCEPTION OF FULL DAY RENTALS which have a limit of 300 miles. Should you feel that your journey will exceed this mileage please contact us to discuss.